Jamaica’s Yohan Blake admitted Saturday that he was doing his best to avoid sprint legend Usain Bolt after his Commonwealth Games flop in the 100 metres. Bolt, who retired last year after dominating the sport for almost a decade, had joked to his countryman that he would not be able to return to Jamaica unless he won the title. After Blake slumped to third in last Monday’s final on the Gold Coast, Bolt arrived in Australia looking to poke a little fun at his former team-mate. “I know Usain is going to trouble me a lot because he expected me to get gold,” said Blake after taking bronze in the 4x100m relay. “I’m going to hide from him when I go back home,” added Blake, confirming that Bolt had yet to catch up with him at the Commonwealth Games village. But Blake, who bagged a world title in 2011 after Bolt false-started in the final, played down the significance of his surprise Commonwealth defeat by South Africa’s Akani Simbine. “If everybody saw what happened, I slipped at the start and couldn’t recover,” he said. Blake had very little opportunity to prove his point with a makeshift Jamaica team in the 4x100m final, where England and South Africa were too far in front by the time Warren Weir had passed him the baton. 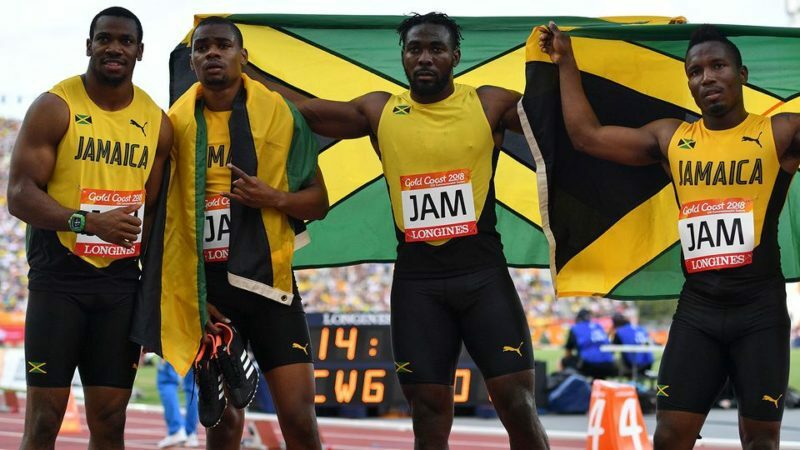 “I knew the odds were against us coming in because some guys pulled out at the last minute,” he said, referring to the late withdrawal of former world record-holder Asafa Powell. Blake pulled no punches when asked about the state of Jamaican sprinting with Bolt now out of the picture. “We were dominating for a while but we are going through a transition period,” he said. “We have some great young guys but they haven’t been exposed as yet. We just hope they can get it fast. “I’m not going to lie, it’s not that they are getting better — it’s that we’re not performing,” added Blake. However, Blake acknowledged it will be almost impossible to fill Bolt’s shoes. “That’s what I love about Usain — he’s a sportsman,” he said. “And somebody like him comes along once every 10 years in the sport.